Long Firewire Cable 6 Pin to 4 Pin 50 Feet. 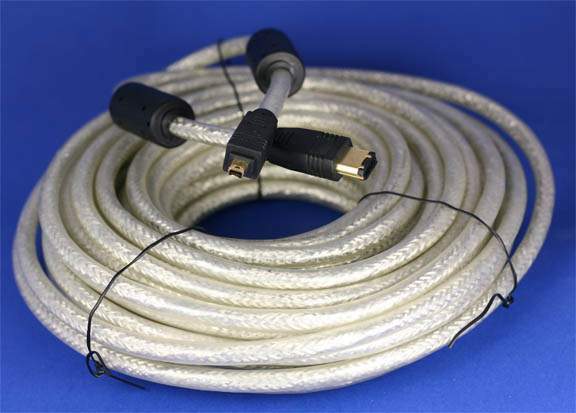 Premium Heavy Duty Firewire Cable that Stretches the max Length for Firewire. Great for Connecting Camcorder 4Pin Devices to Computer. Can be used with Part 70966 on MAC pro for 9-Pin Port.